Apple has released its golden master (GM) candidate of OS X Yosemite for developers (build 14A379a), which signals the public release is imminent. Developers are able to download the GM seed via the Mac App Store or get a download code via the developer center. 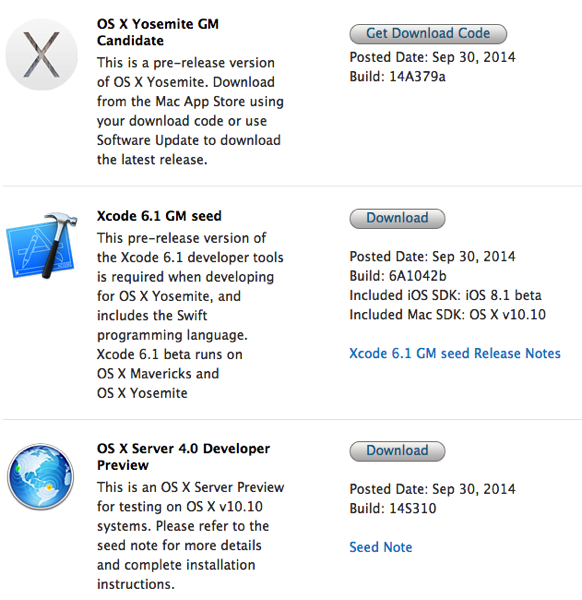 Also available is Xcode 6.1 GM seed, build 6A1042b, which includes SDKs iOS 8.1 beta and OS X v10.10. OS X Server 4.0 developer preview is also available for developers as well. Last year, OS X Mavericks golden master was released on October 3, while the public release of the Mac OS was later released on October 22. Nevertheless, expect OS X Yosemite to be publicly release very soon, although updated versions of the GM seed may still come before the final release. 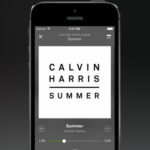 OS X Yosemite, on top of having an iOS 7 ‘flatter’ look, will also bring Continuity, which has various features such as Handoff, allowing Apple users to have applications synced across their Mac and iOS devices. OS X Yosemite will be a free download, like OS X Mavericks last year.